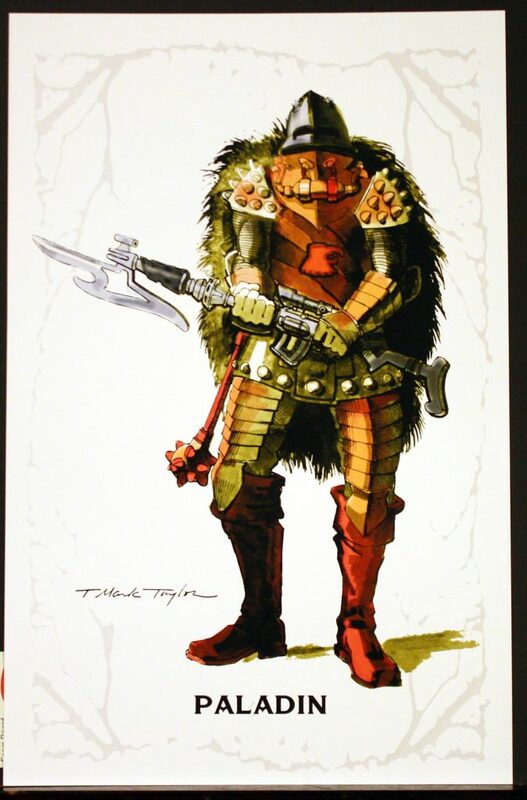 At the 2018 Power-Con, Mark and Rebecca Taylor made available to fans a collection of art prints called T. Mark Taylor – Sketches 1. Unfortunately I was unable to attend, but thankfully fans who couldn’t attend were able to purchase copies directly from the Taylors afterwards. The set is kind of a sequel to the 2016 Mark Taylor – The Original B-Sheets Collection, which I reviewed in depth. 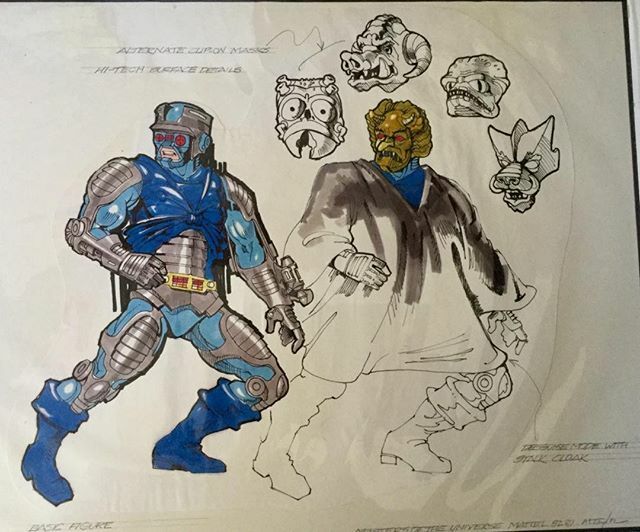 A few pieces from that collection appear in Sketches 1, but mostly this is a new set of artwork. 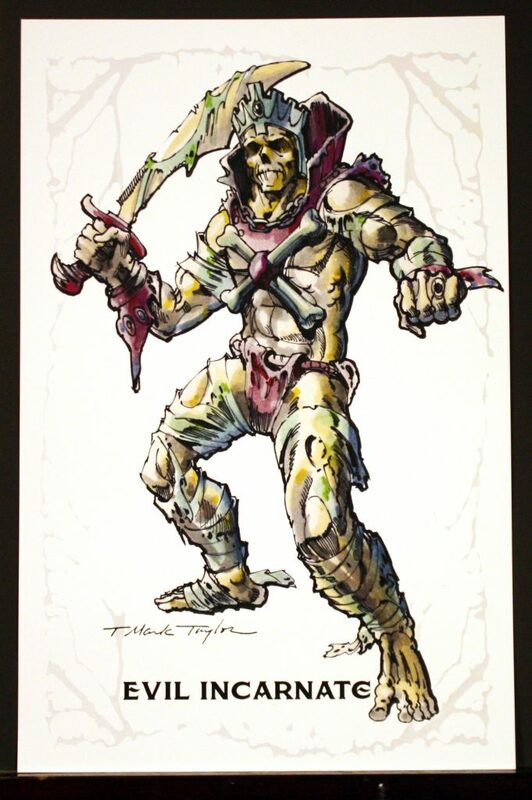 Unlike the first set, much of the artwork in this new collection actually predates work on the He-Man line. I’ll take a look at each piece of artwork and provide a little commentary. 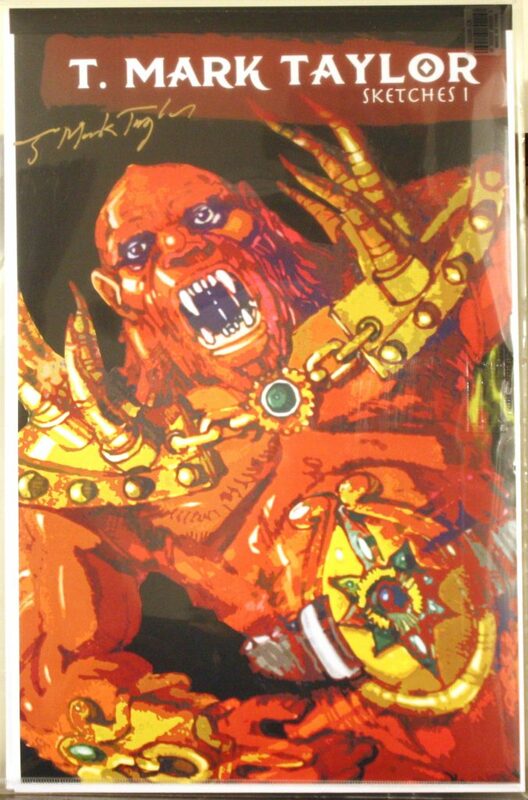 The cover, which Mark was kind enough to sign, features one of the early Beast Man concepts. 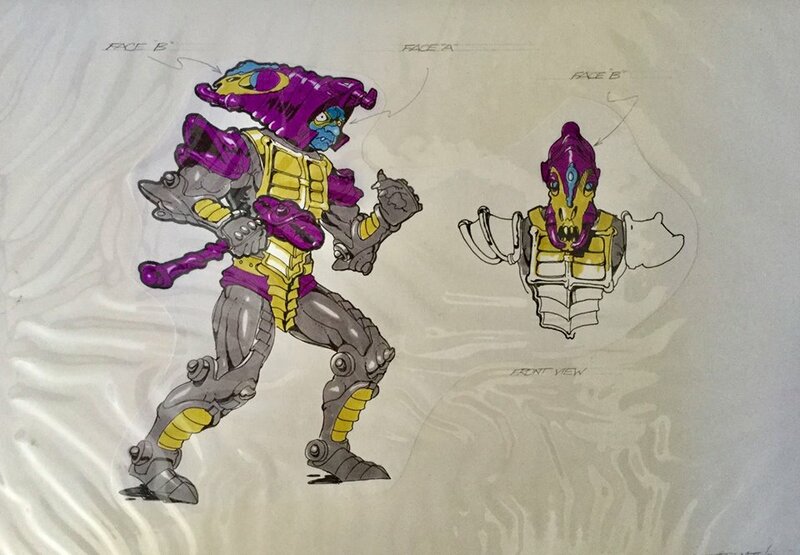 Rebecca shared the full artwork several months back. 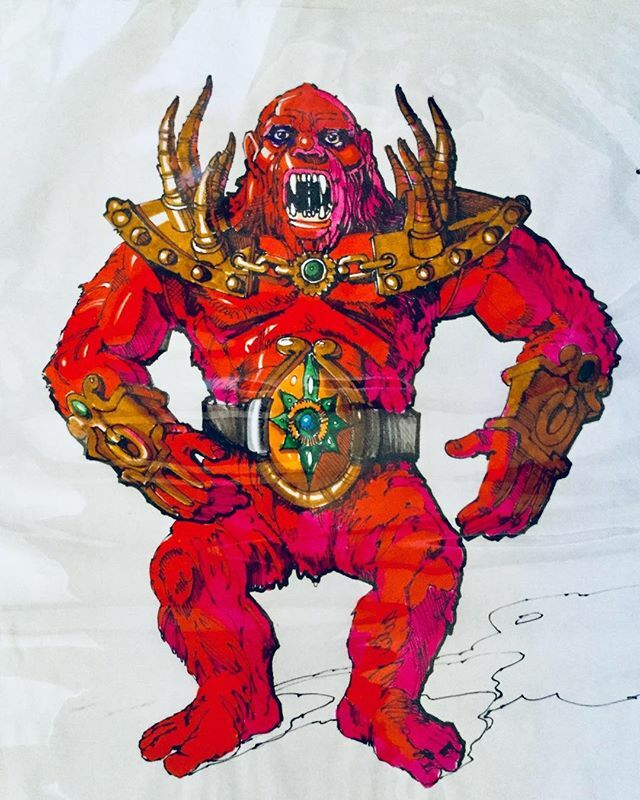 For more information on the evolution of Beast Man, check out this article. Image courtesy of Rebecca Salari Taylor. This piece, titled “The Eternal Hero”, doesn’t seem to be a direct ancestor of any particular figure. 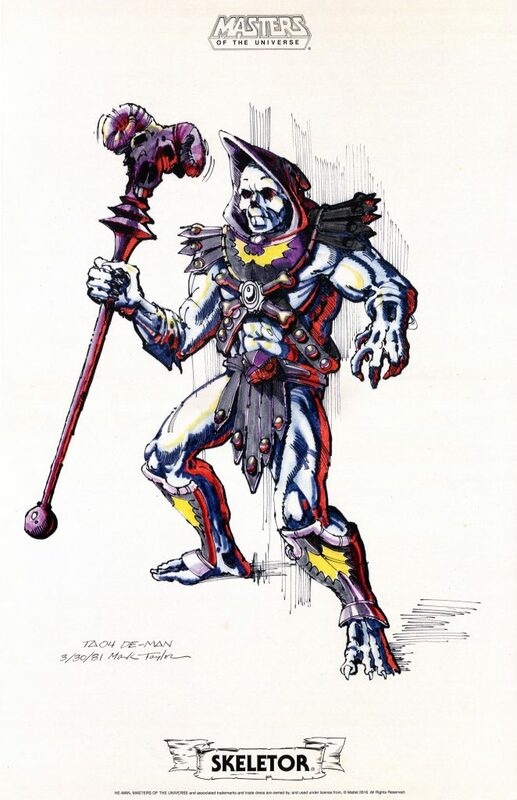 However, his armor has touches of what would become Skeletor’s armor. 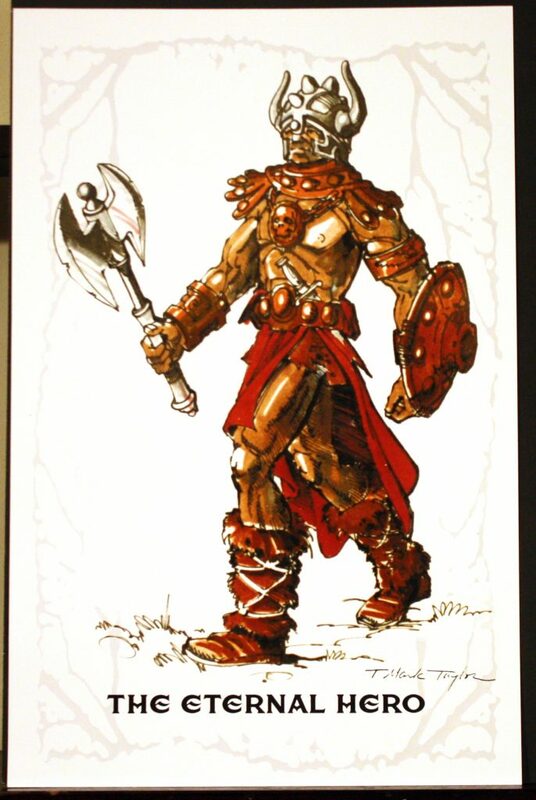 His axe and boot designs were reused for He-Man. 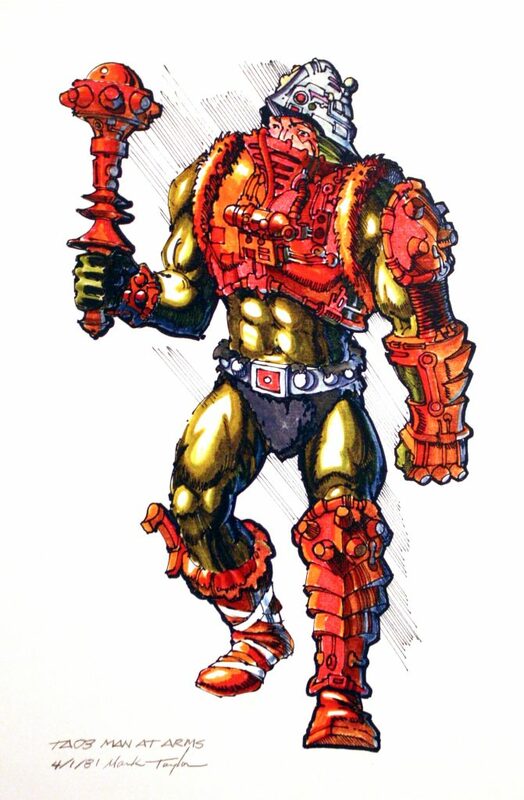 The shield ended up with the Castle Grayskull weapons. 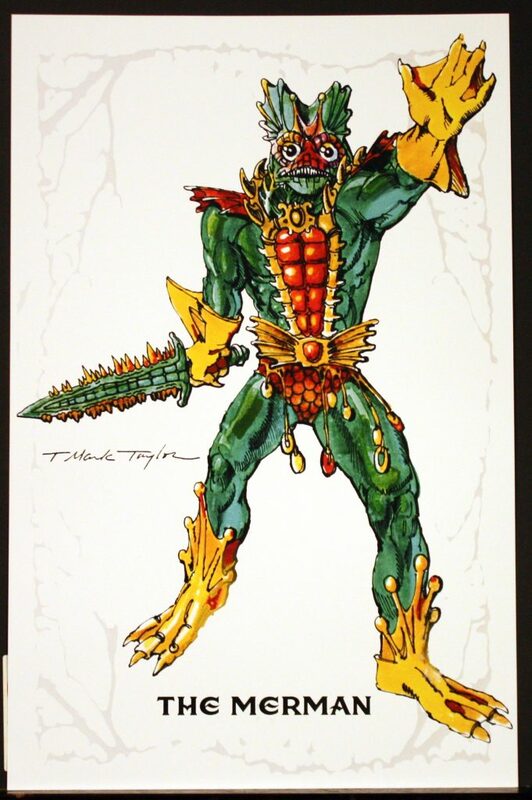 This most likely originated from the 1970s, long before the He-Man line. 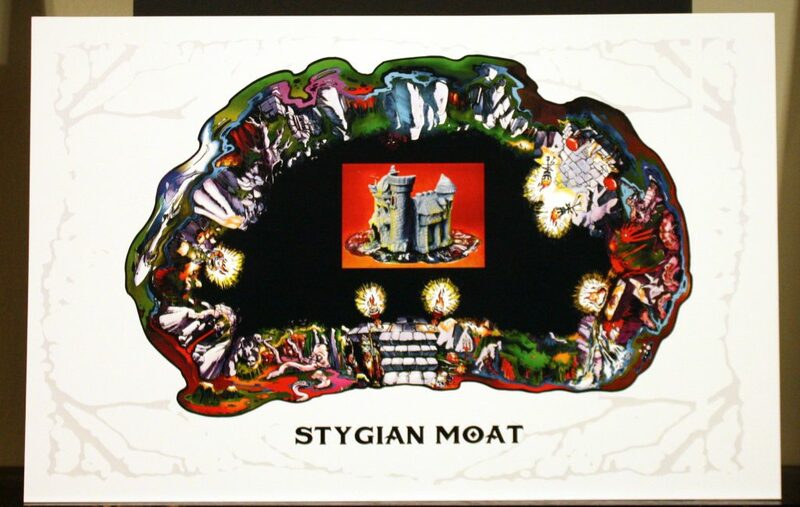 The moat was actually intended to be a mat that would come shipped with Castle Grayskull. Unfortunately it proved to be too expensive and it was dropped from the playset. 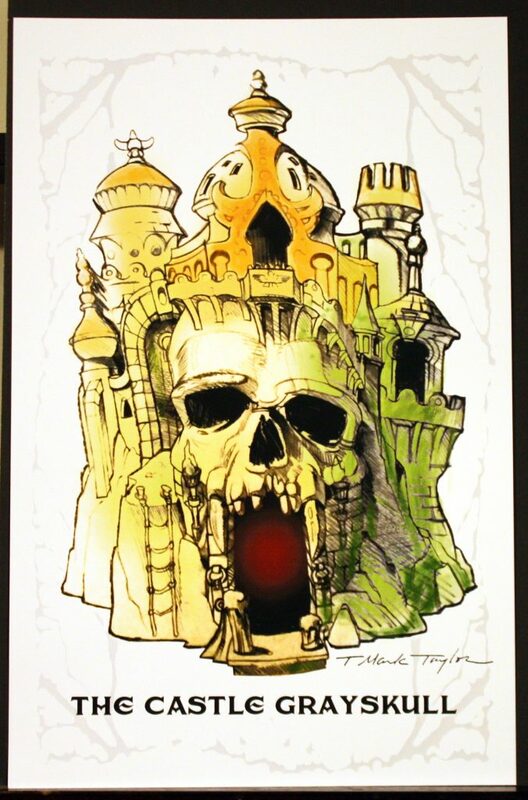 Those who are fans of the creepy creatures in the Castle Grayskull dungeon sticker will appreciate this artwork the most. 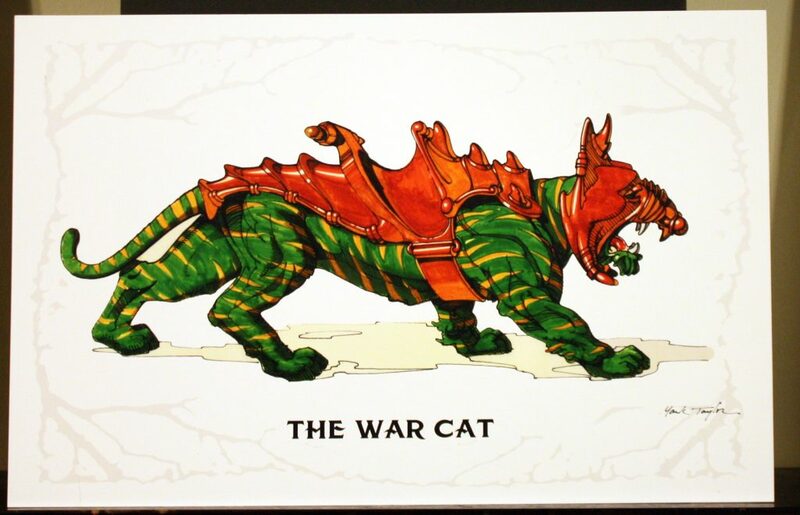 The above artwork was also included in the 2016 B-sheet collection, but fans who missed out on that can enjoy this exquisite representation of Battle Cat. 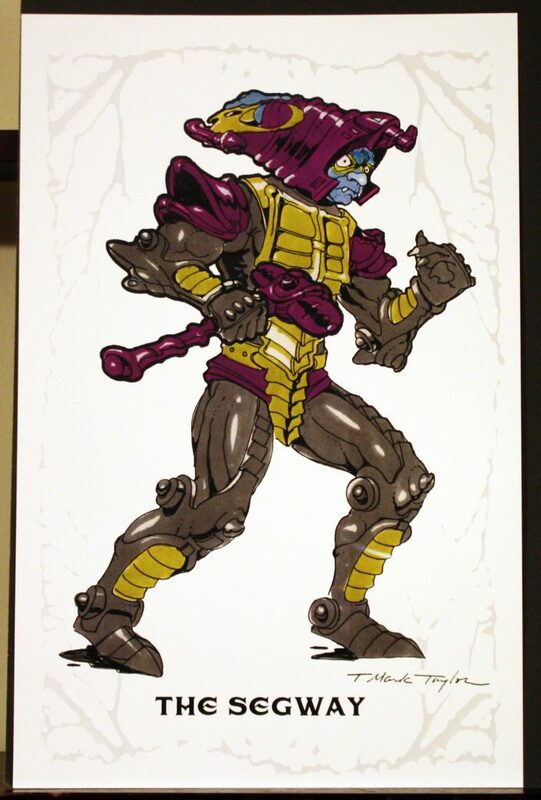 Although it’s not immediately obvious, Segway represents an early take on the Man-E-Faces concept. 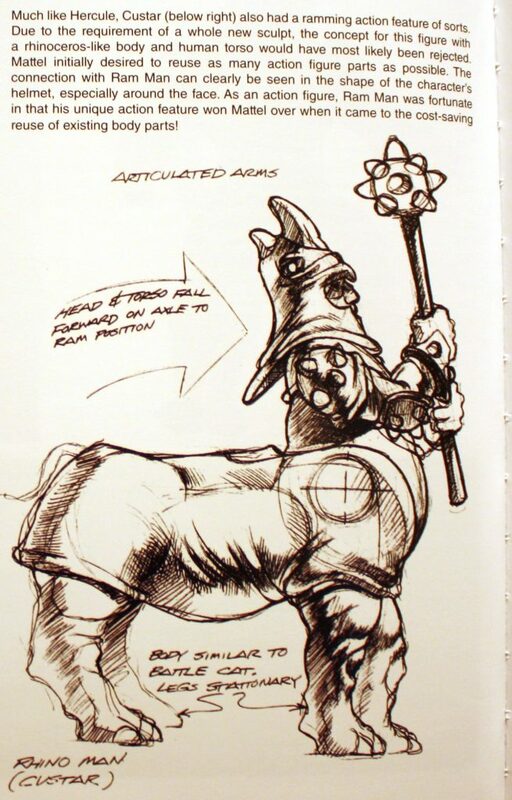 Rebecca has actually shared a number of early designs. This particular version represents an evil character. 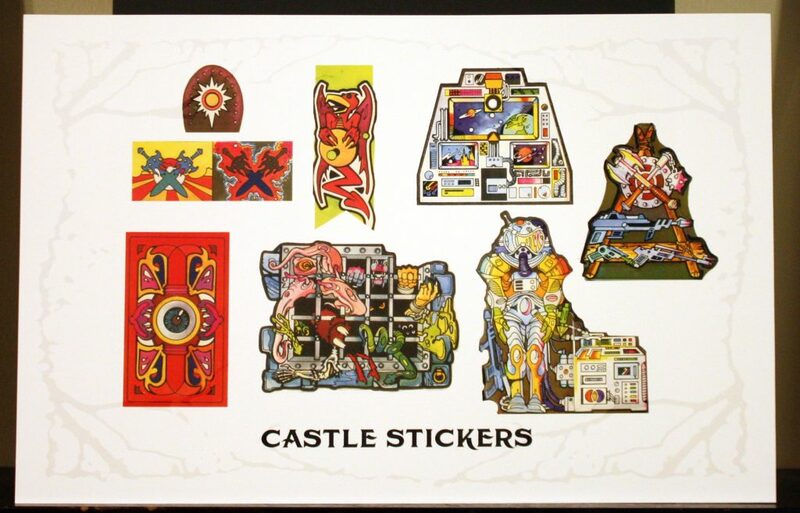 The Castle Grayskull stickers and cardboard pieces, exactly as they appeared in the vintage playset, are reproduced here. These were done by Rebecca, based on some notes by Mark. 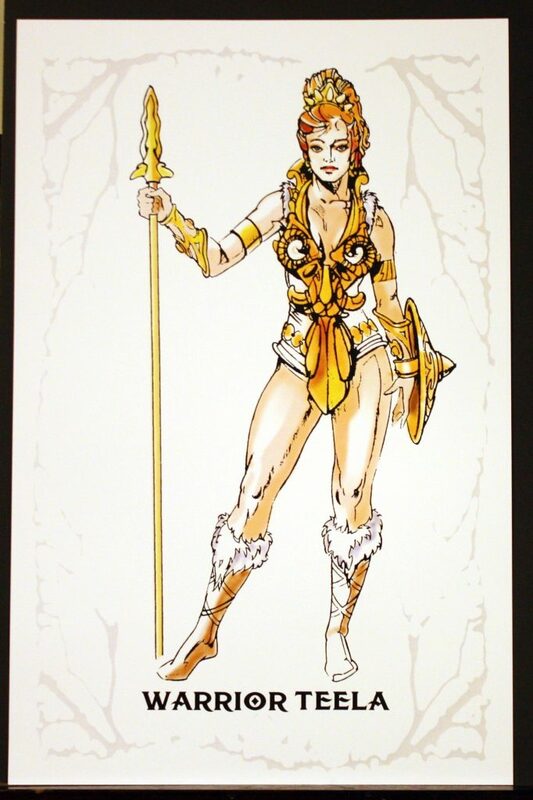 Teela was also included in the 2016 B-sheets collection. She remains one of Mark’s most elegant and striking figure designs. 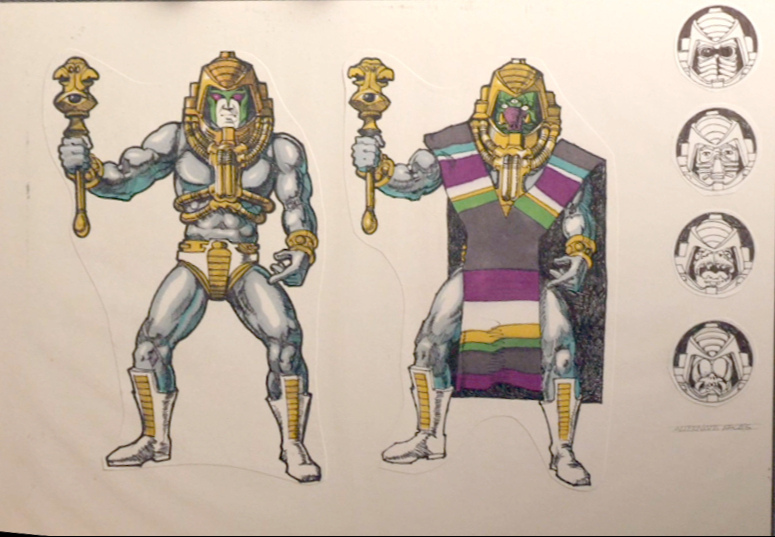 Ursis prime is the earliest known Beast Man design. 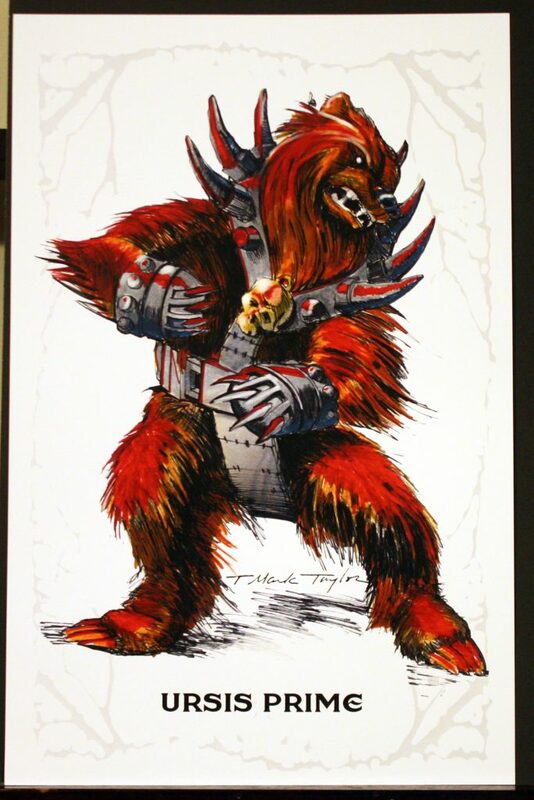 In the beginning the character was based on a bear, although Mattel rejected it because they were afraid it was too similar looking to Chewbacca. 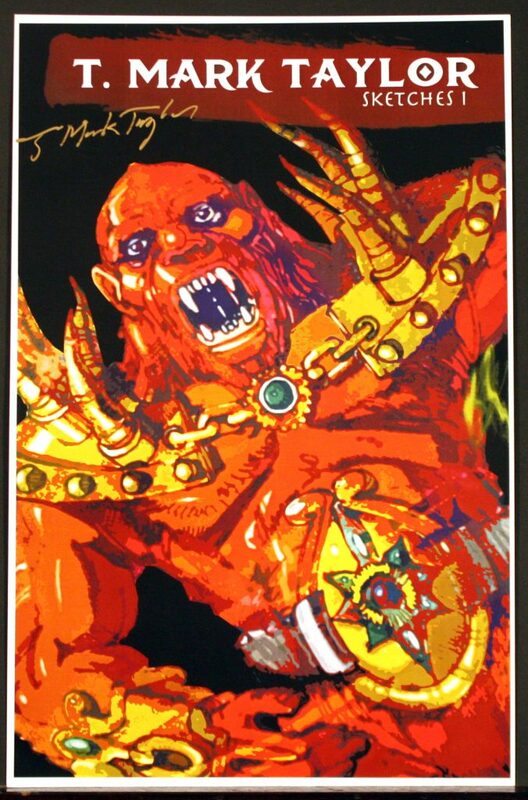 The next stage of the design is the savage-looking red Beast Man featured on the cover of this collection. 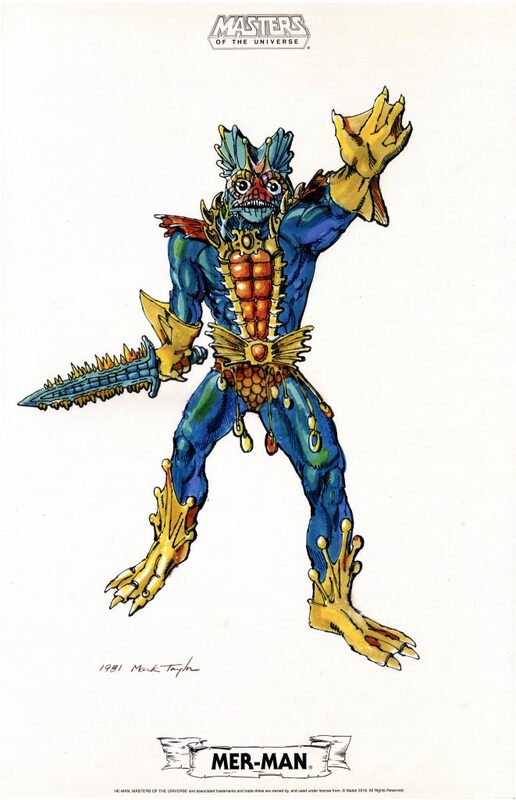 You can read more about the evolution of Beast Man here. 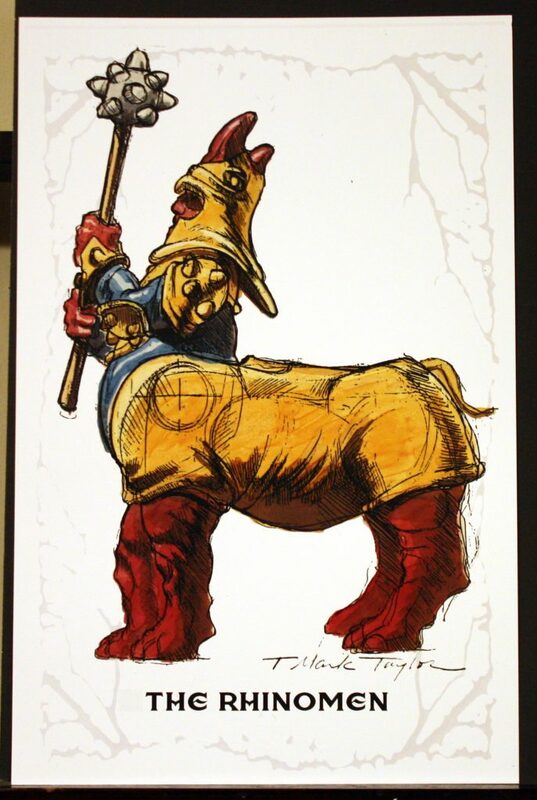 Image source: The 2016 Mark Taylor B-Sheet Collection. 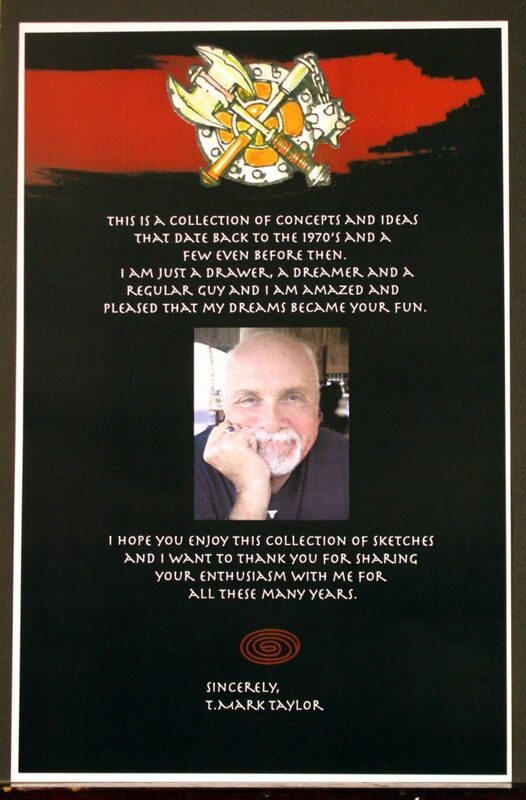 Finally, on the back page we get a picture of Mark and a nice note to fans, punctuating a superb and heart-felt collection. Many thanks to Rebecca and Mark for making this available to the fans! I was unable to get the B-sheets collection, so I was very glad Mark & Rebecca Taylor made this available by other means! Mine shipped without the cover, unfortunately. Still happy as hell to have this collection! Evil Incarnate went right up on the wall, and Mer-Man definitely will. Wall space is at a premium, so I’ve got some tough decisions to make! I had space for five of them on the wall. 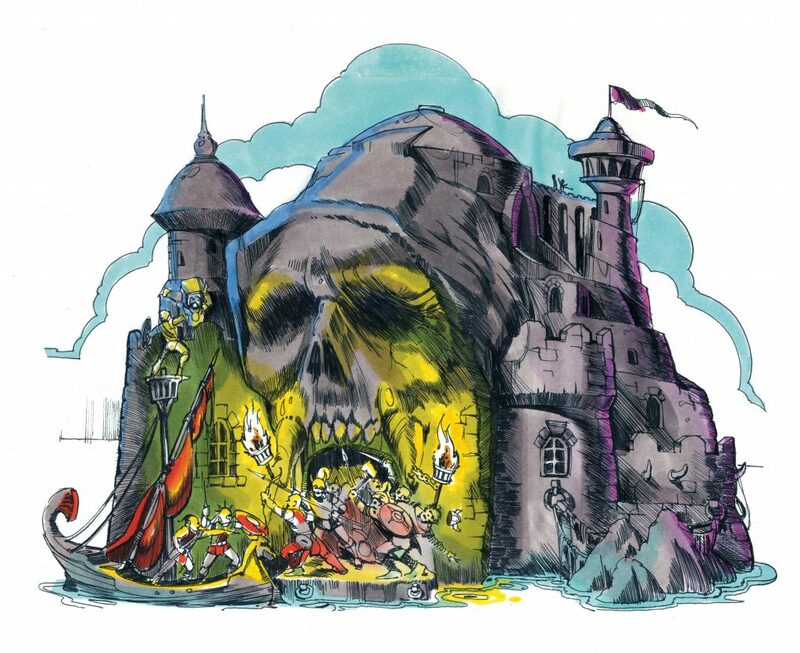 I chose Castle Grayskull, Mer-Man, Paladin, Evil Incarnate and the Eternal Hero. It was tough though!